Timeless, brackets are used in a variety of different home improvement projects. 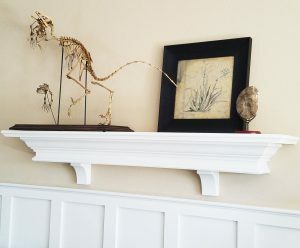 It does not matter if you are an everyday DIY’er or the local contractor, it is agreed that brackets are a great addition to shelves, mantels and countertops because of their beautiful design and functionality. 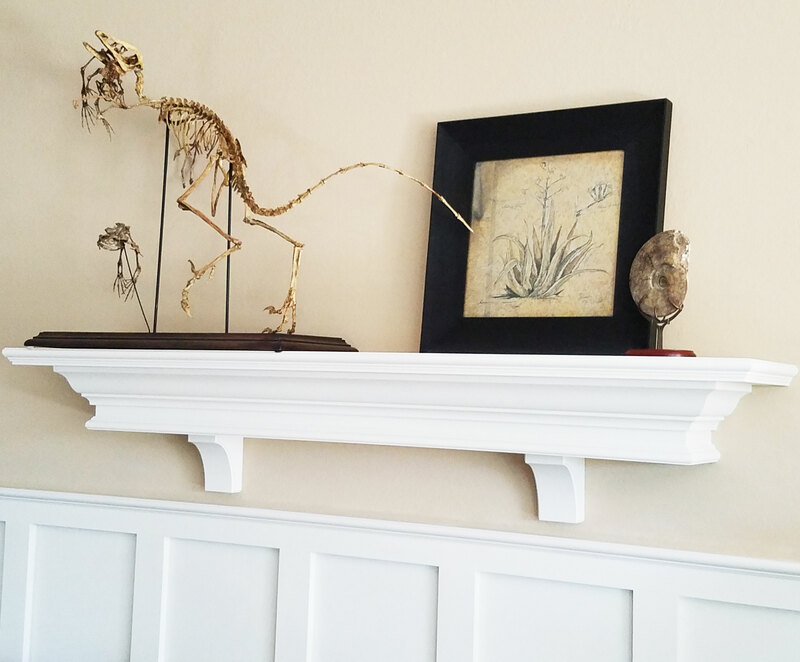 Recently, Bill from Florida ordered a couple of Ekena Millwork Clarksville wood brackets for his shelf project. Visually appealing, the rubberwood species of wood has a beautiful dense grain making it perfect to be painted or stained. In Bill’s case, the painted the rubberwood brackets a bright white to match the shelf. He let us know that the brackets perfectly held up the bronze and resin dinosaur sculpture that is on display. We think that the project looks awesome! 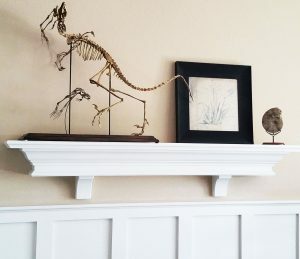 The Ekena Millwork Clarksville wood bracket is a best seller among the collection of wood brackets due to its simple beauty. Not only is this bracket lovely, it is also load bearing. Homeowners can use these brackets to help support countertops and shelves. When installed correctly, the bracket can support up to 250 lbs. Additionally, the bracket doe come in a variety of different wood species and sizes. With such a large selection to choose from, there is a bracket that will fit your next project’s needs! Feel free to check out the full collection of brackets for a more broad selection to choose from via the link below!